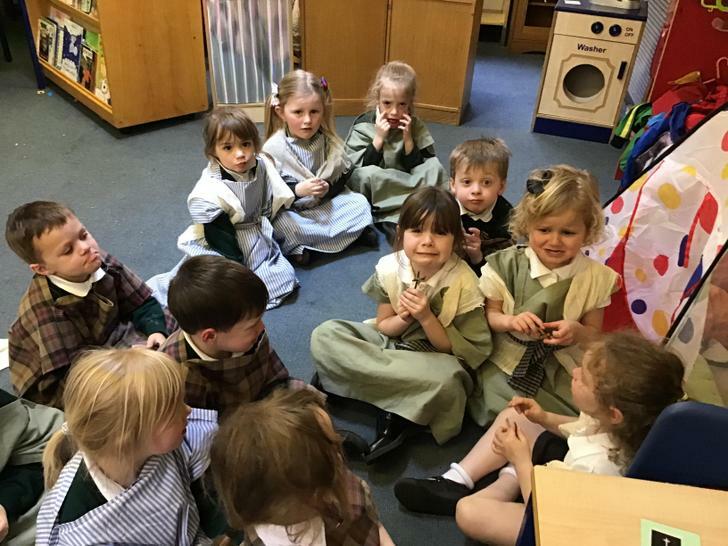 This term we have been talking about friendship and what makes a good friend. 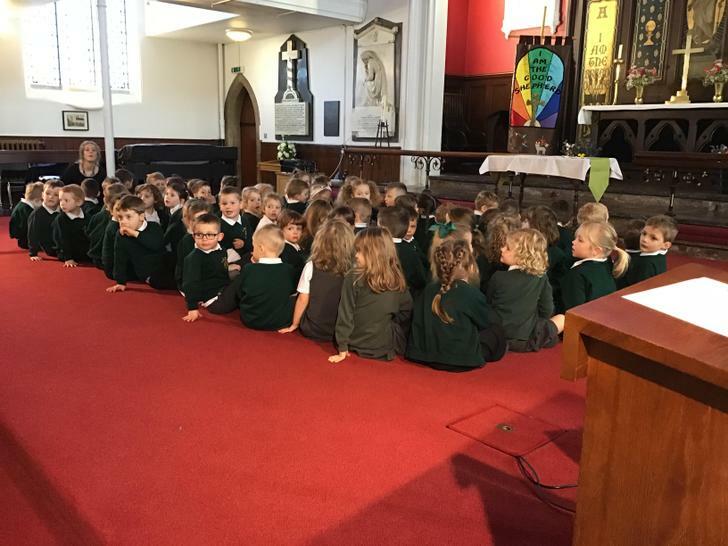 We have been sharing stories from the Bible about Jesus and friendship. 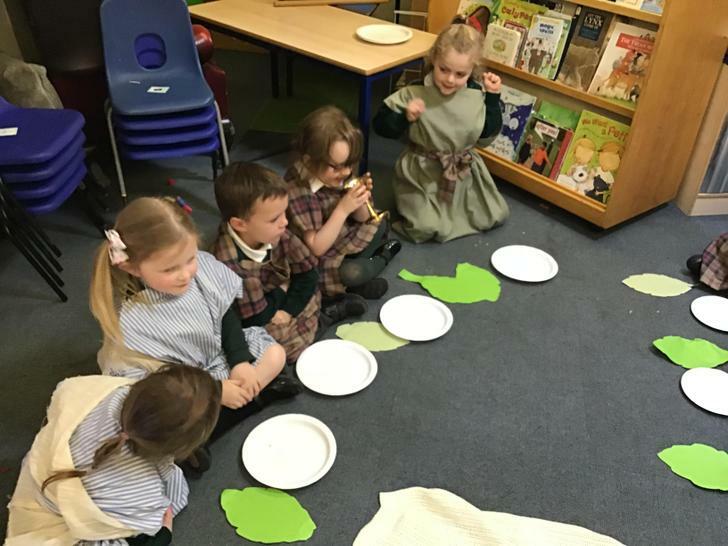 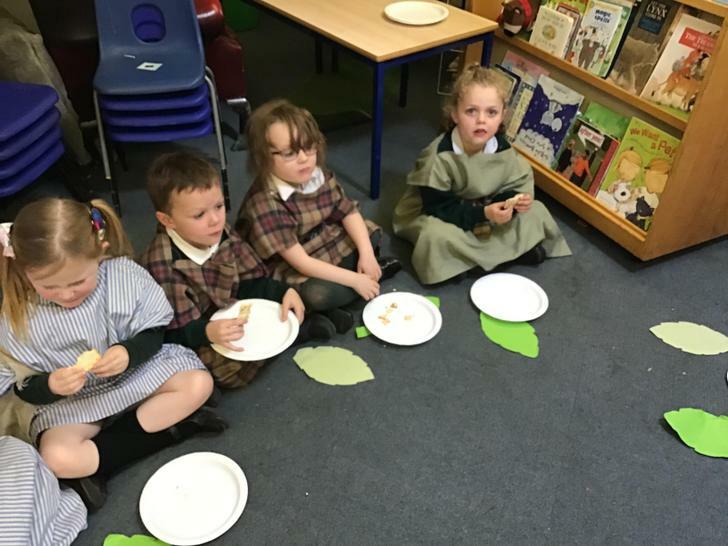 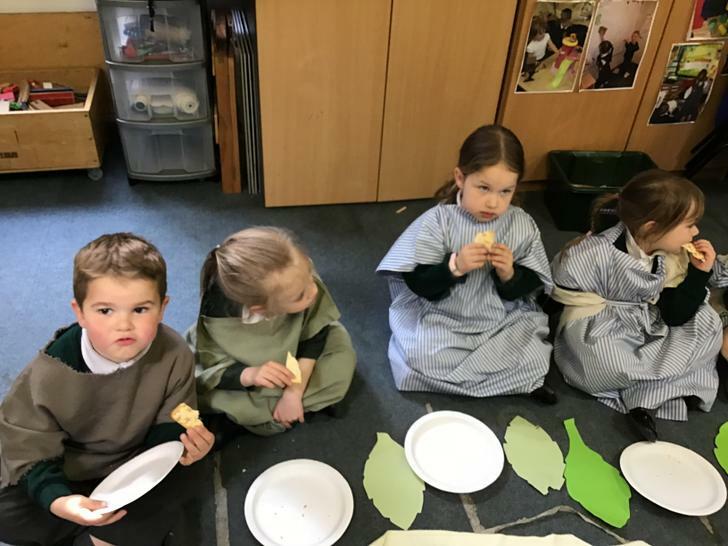 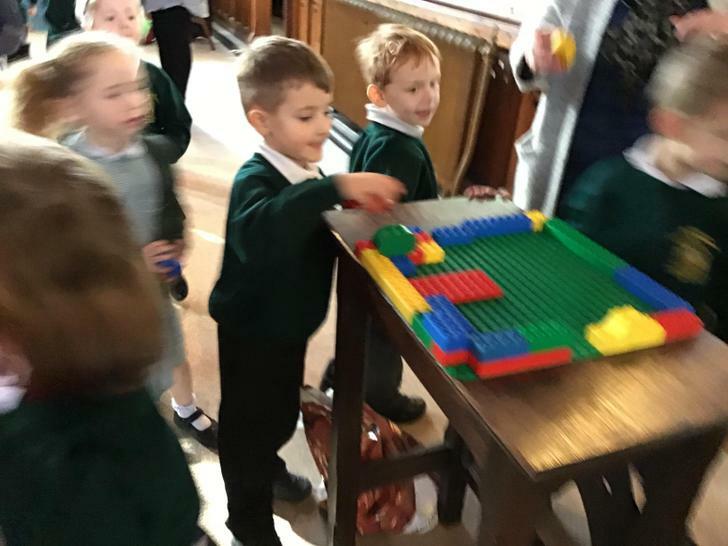 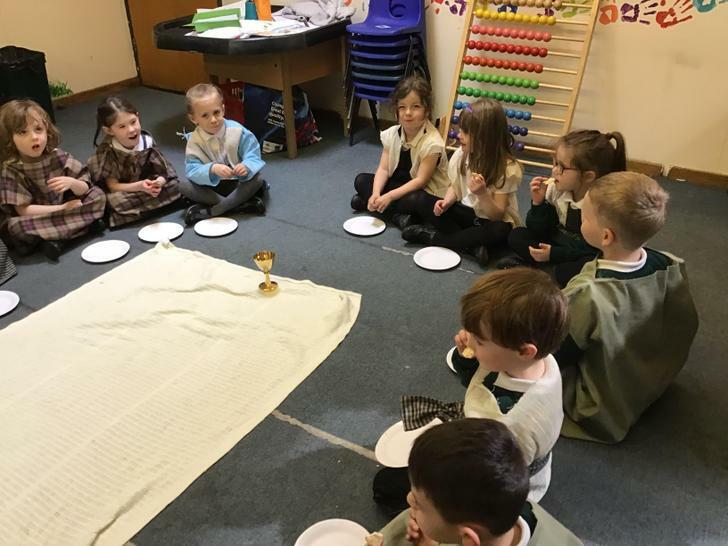 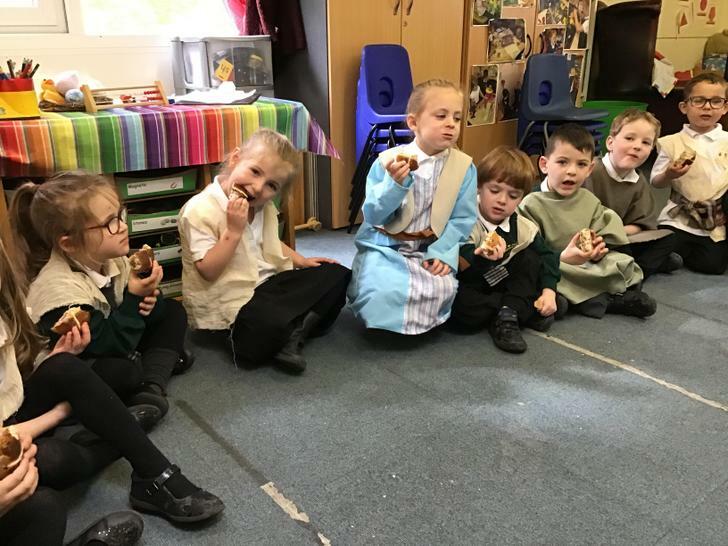 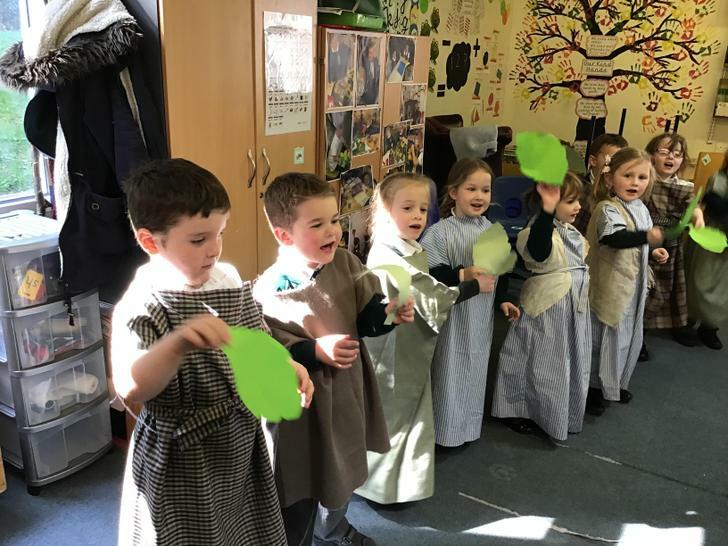 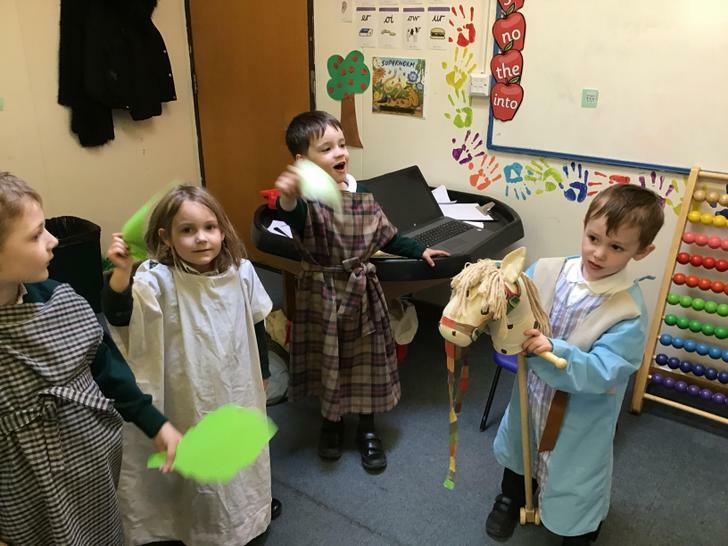 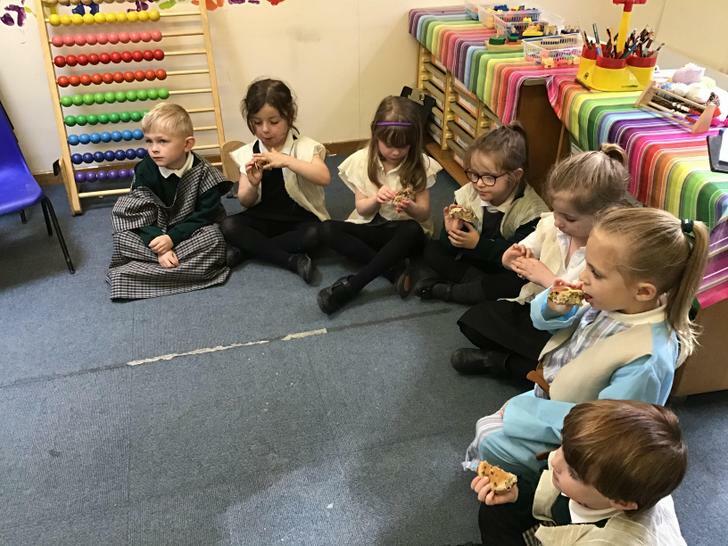 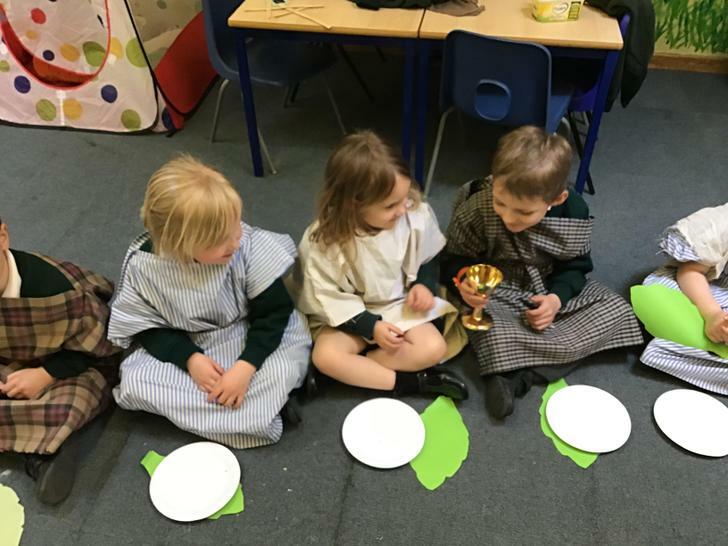 At the end of this term we will be thinking about Easter. 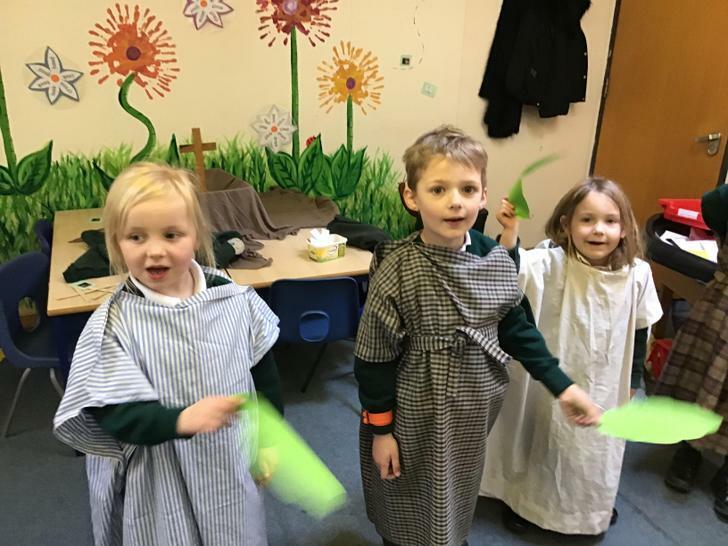 Watch this space for photographs of our Easter activities, including our Easter drama. 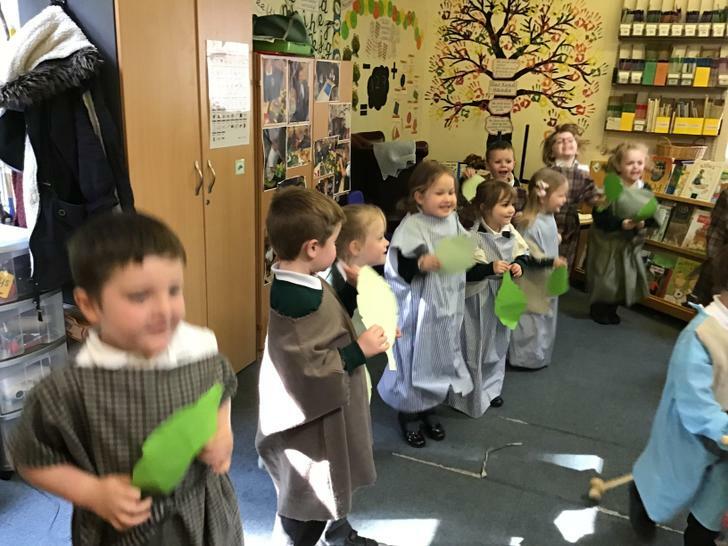 Our final Values for Life display boards! 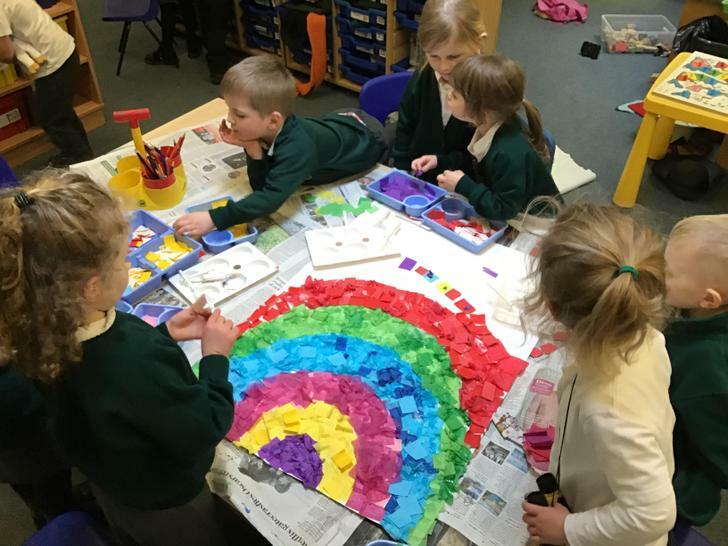 The children in Reception all worked together to build these fantastic display boards on our Value for Life day last week. 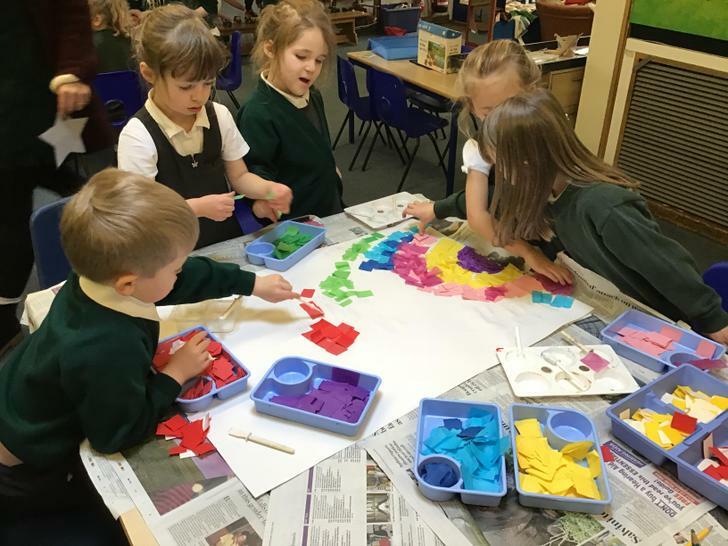 I can't wait to see them up in the hall with the rest of the school's display boards. 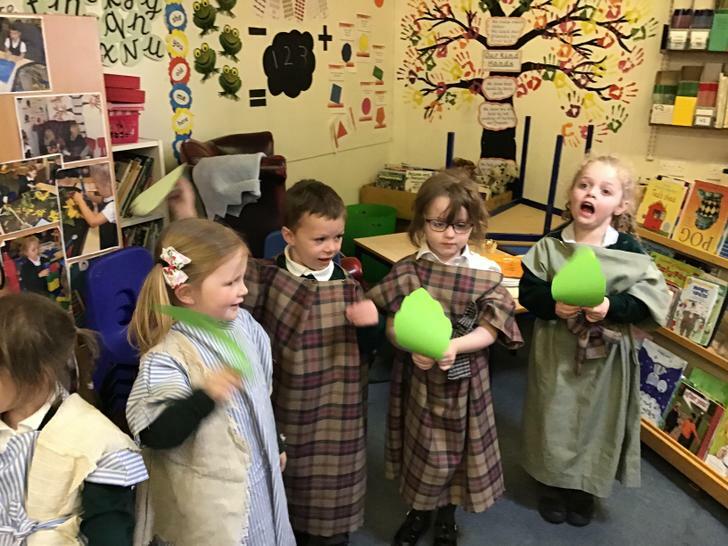 We have been adding a bead to our prayer net and saying a prayer for our friends and family. 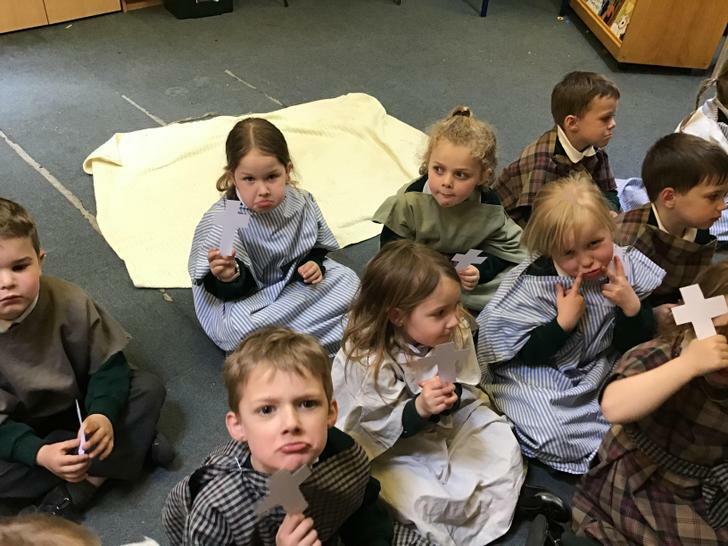 Look at our lovely prayer crosses that we have been making. 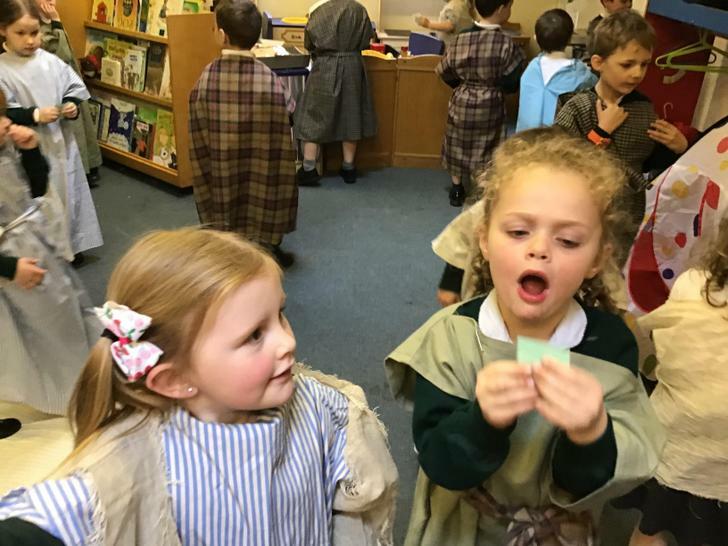 We have been talking about gifts that come from the heart. 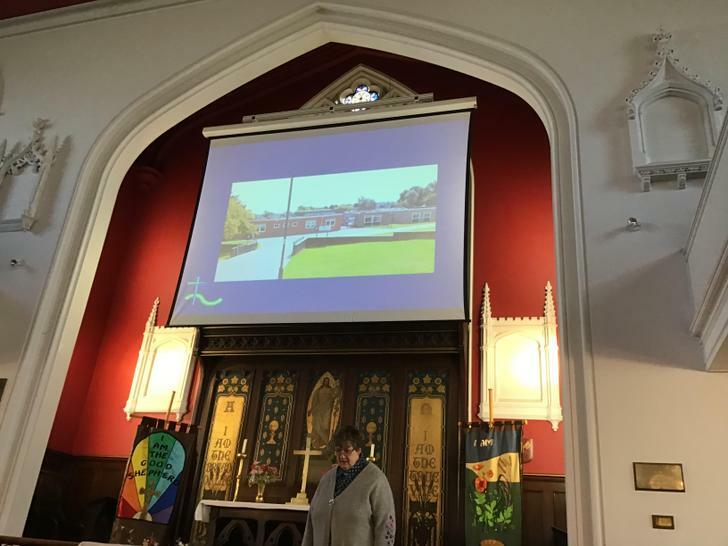 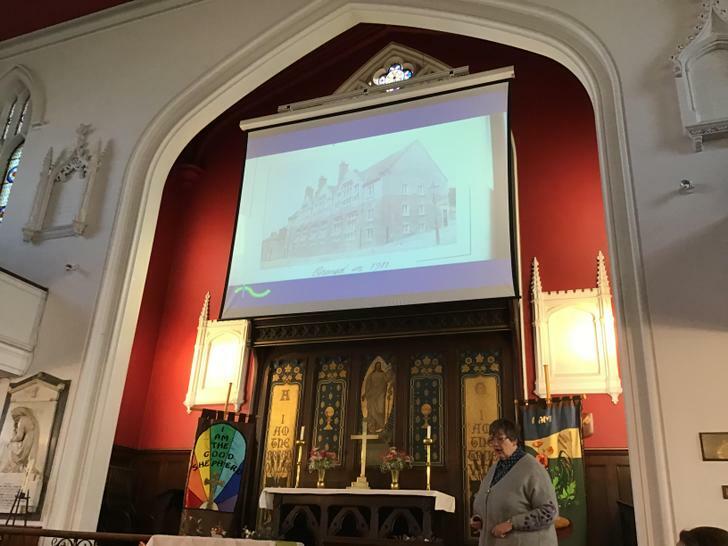 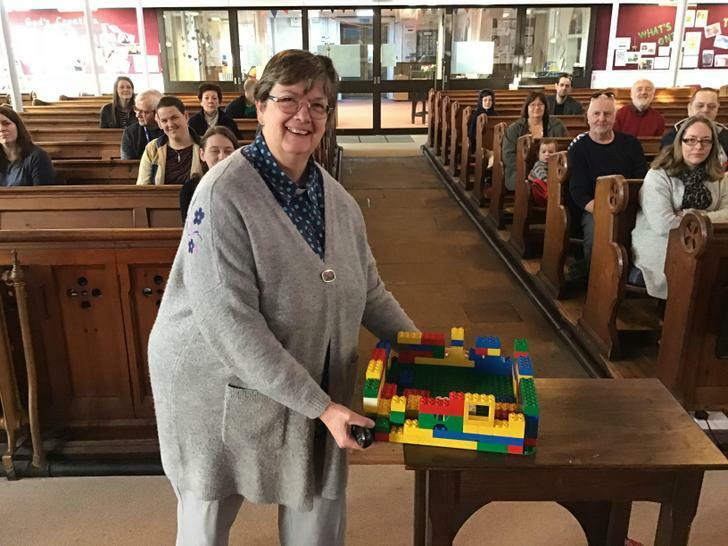 Over the next few months this will lead to an exciting link with St Peter's Church. 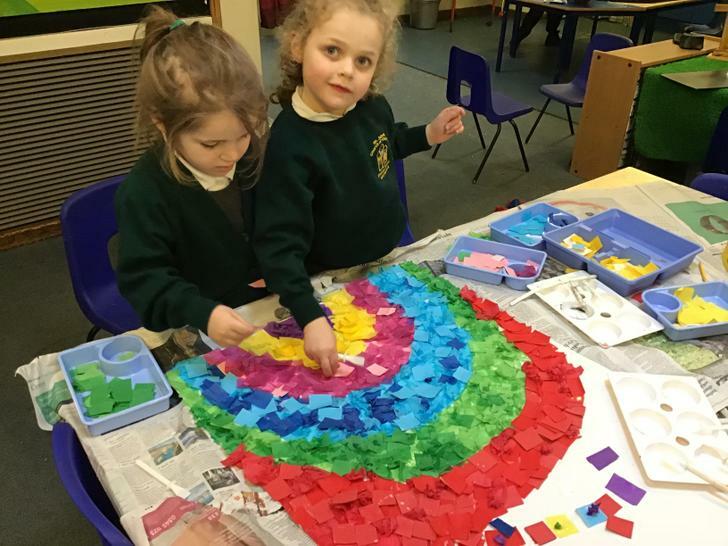 We enjoyed making divas for Diwali. 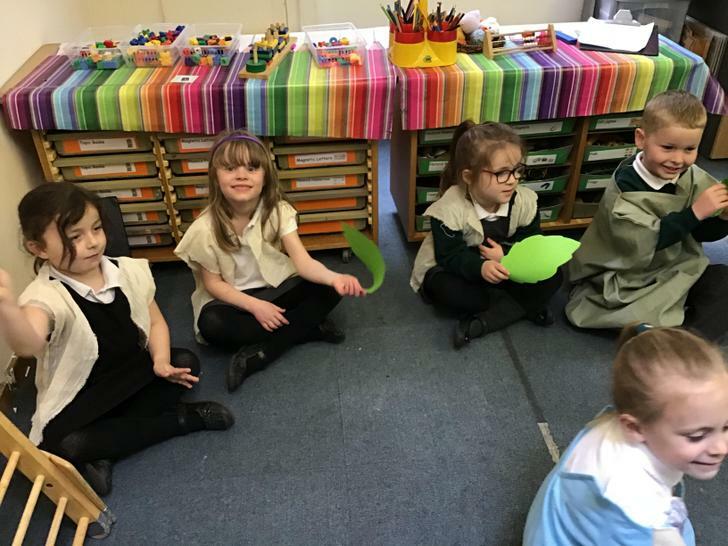 This term we will continue to look at which times are special and why. 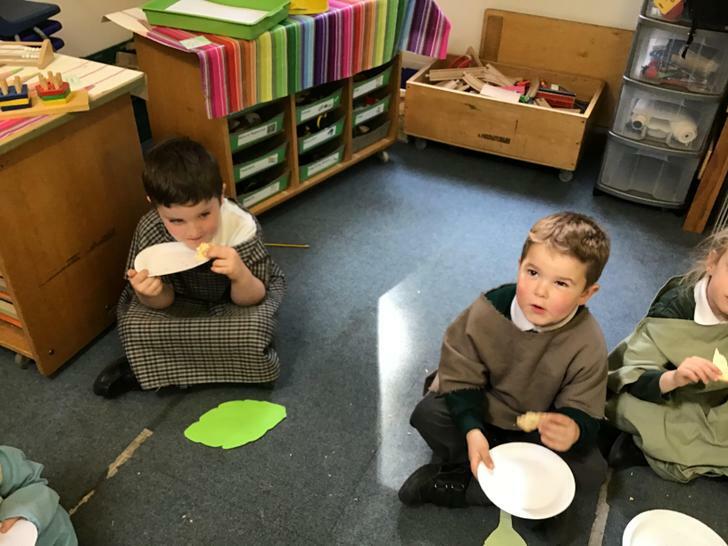 In the first week, we will be finding out about Diwali. 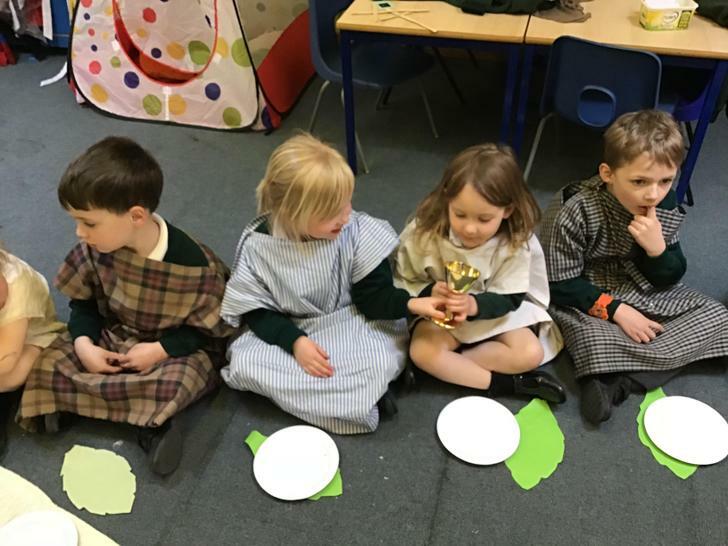 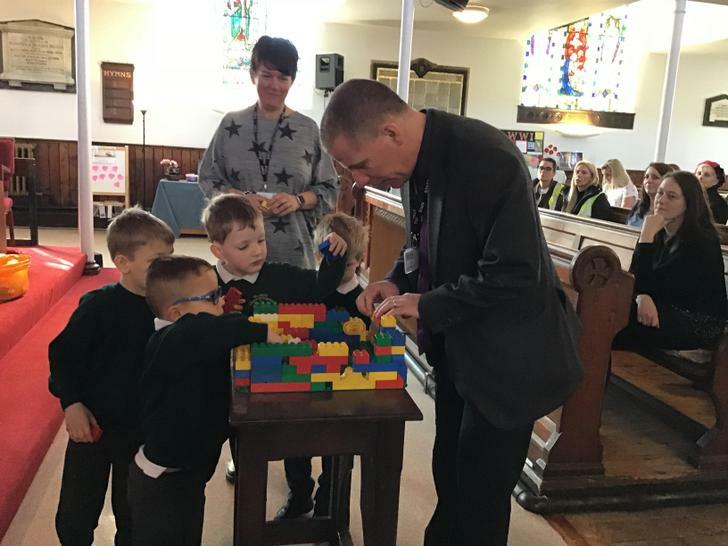 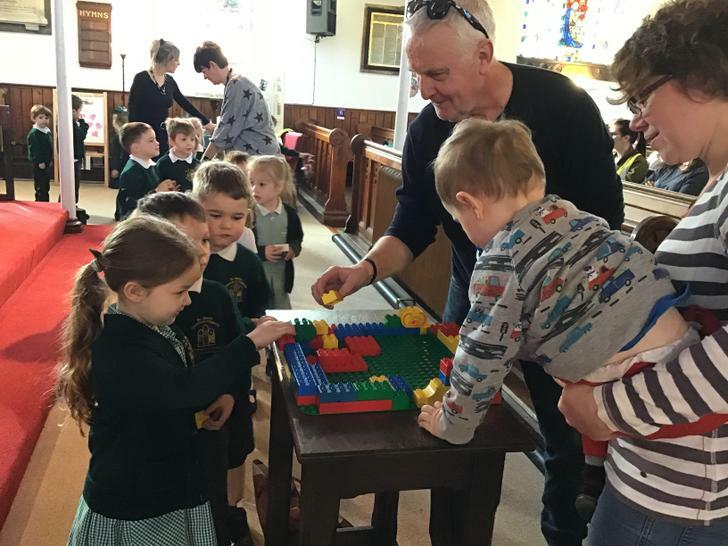 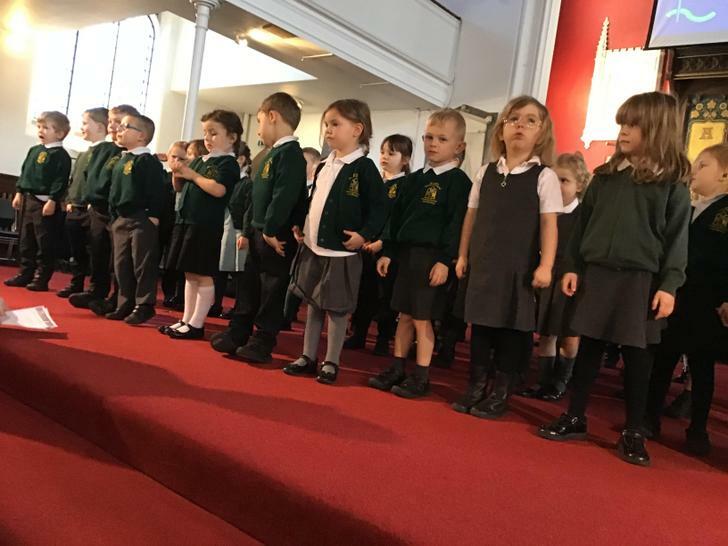 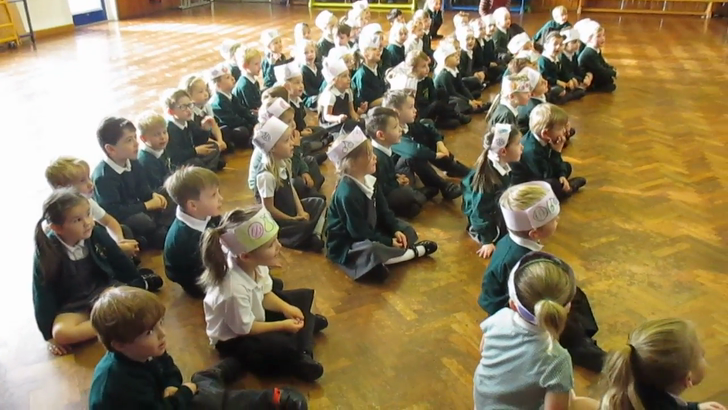 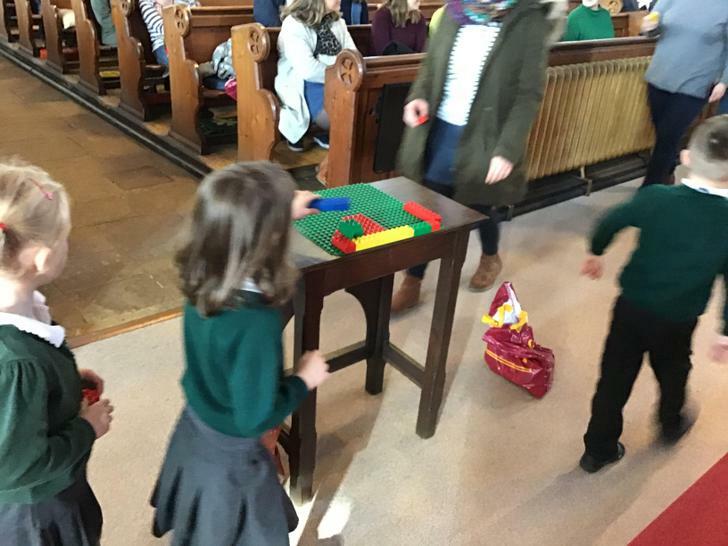 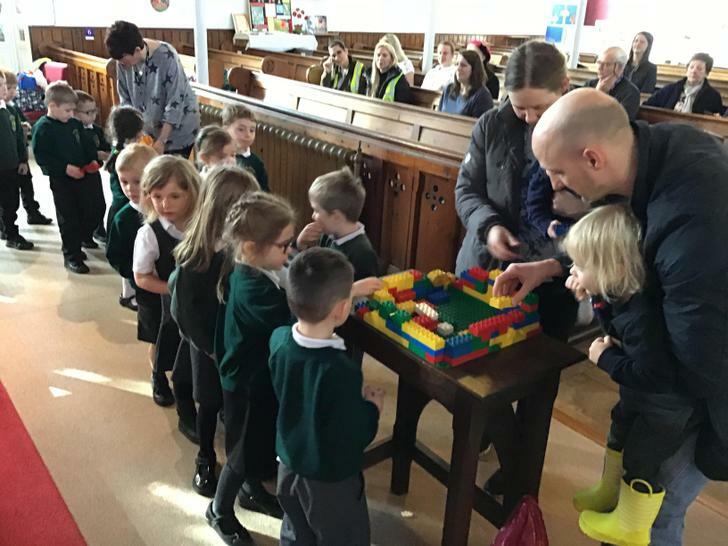 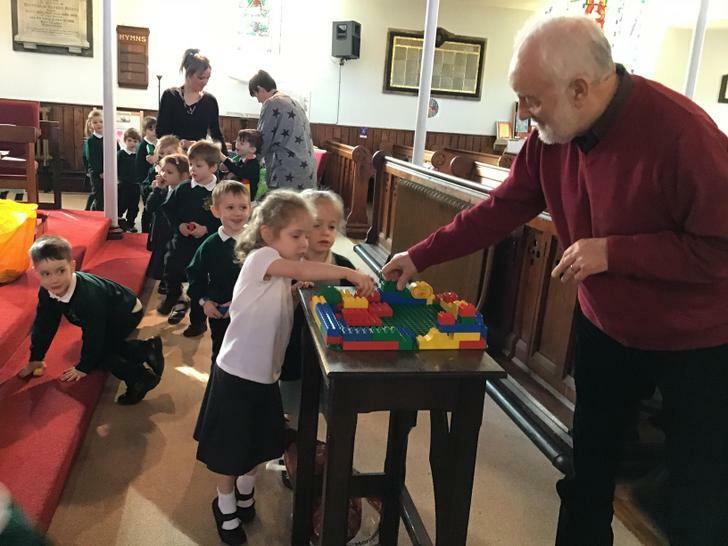 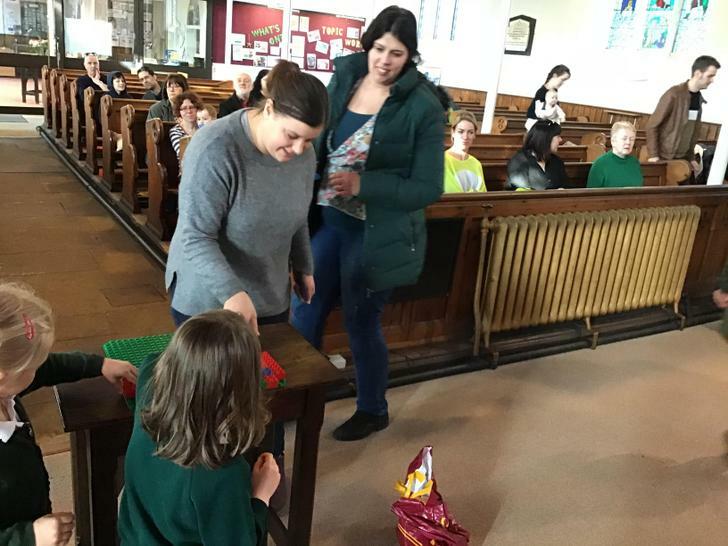 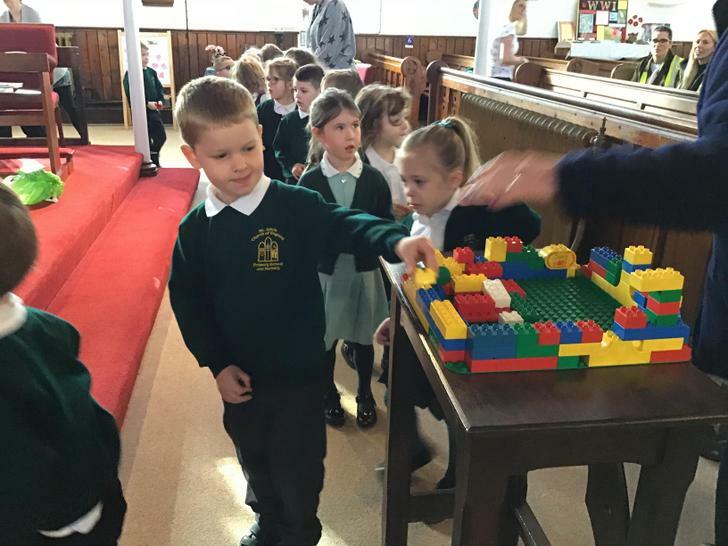 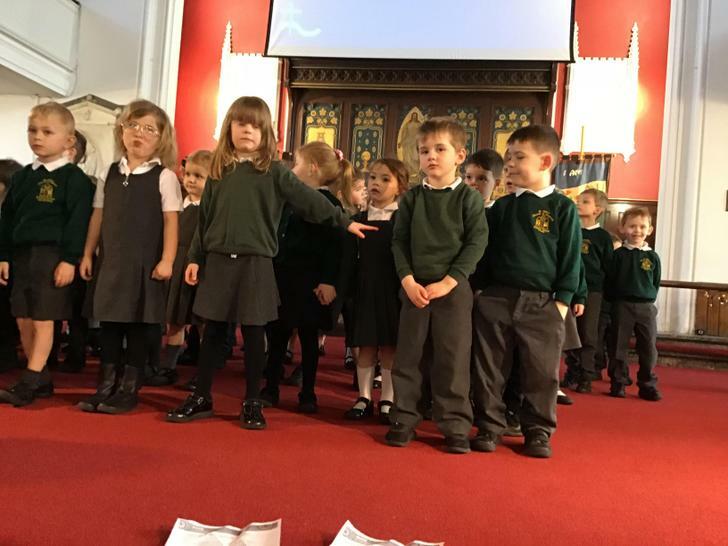 We will continue to look at the celebrations children take part in and how Christians celebrate special festivals. 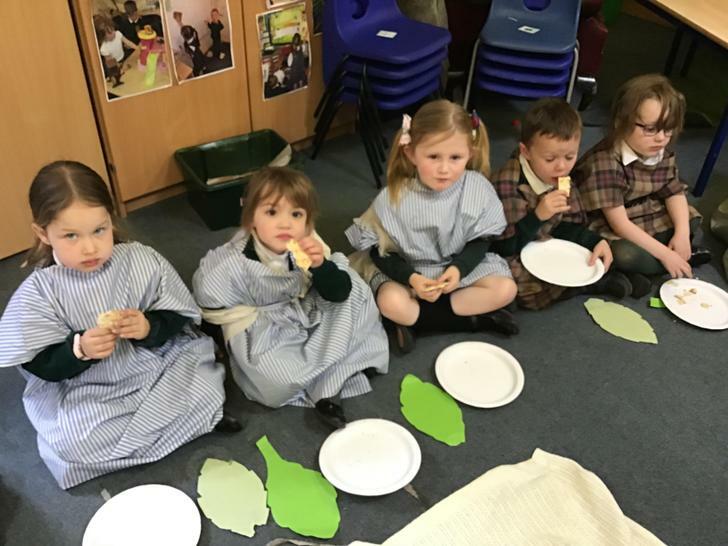 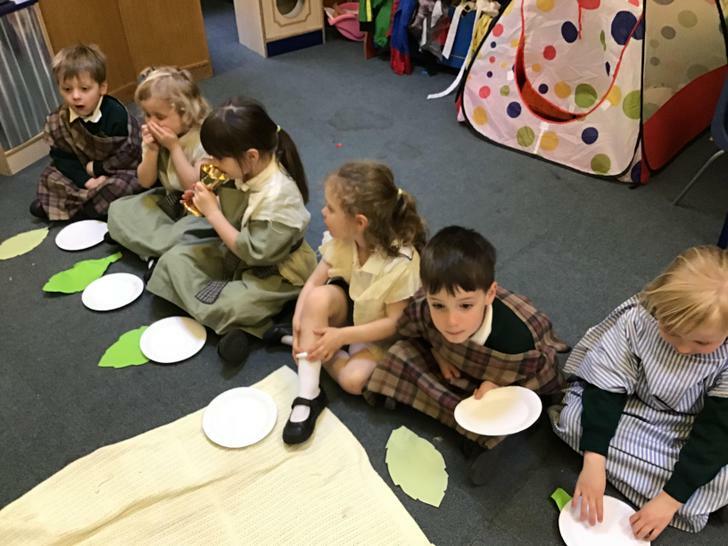 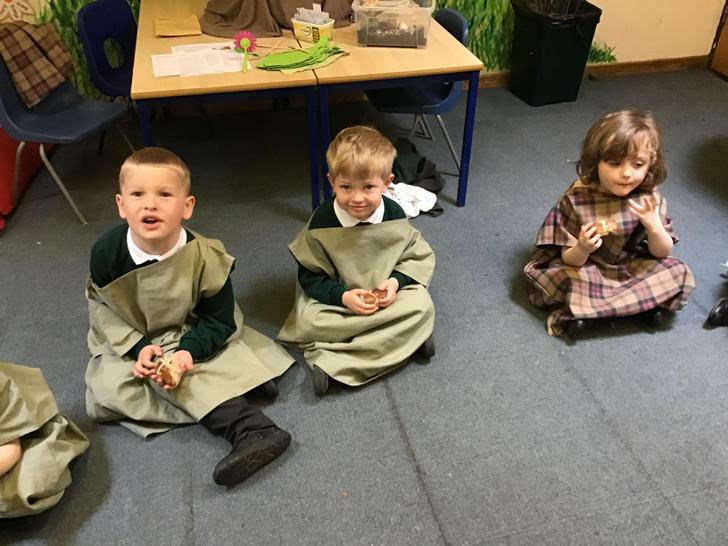 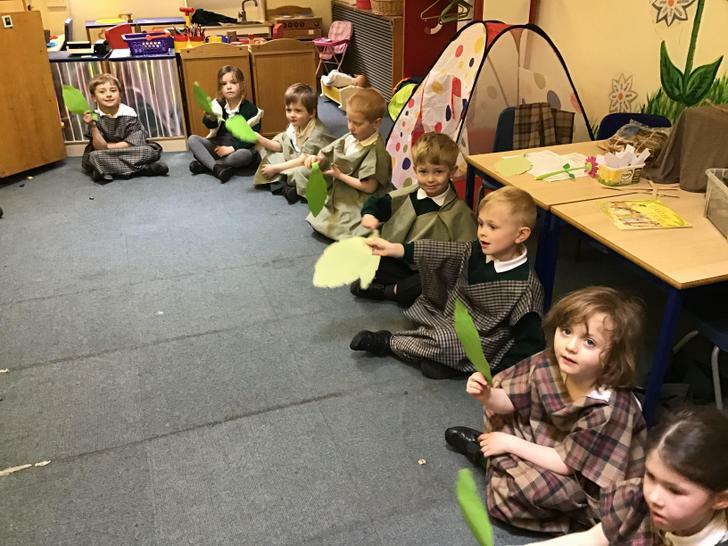 At the moment we are having fun learning about Harvest. 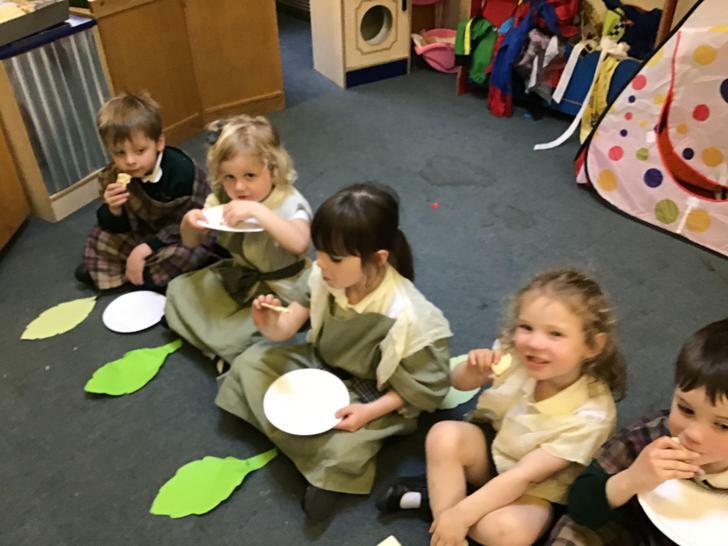 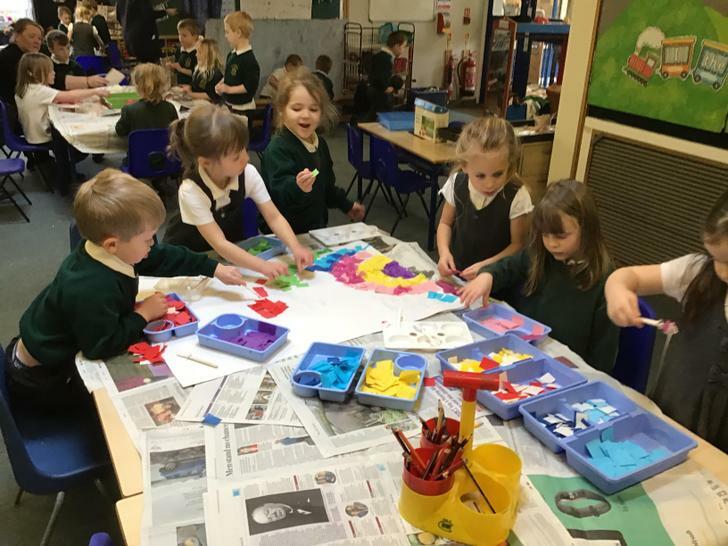 The children have enjoyed painting, printing and exploring fruit and vegetables. 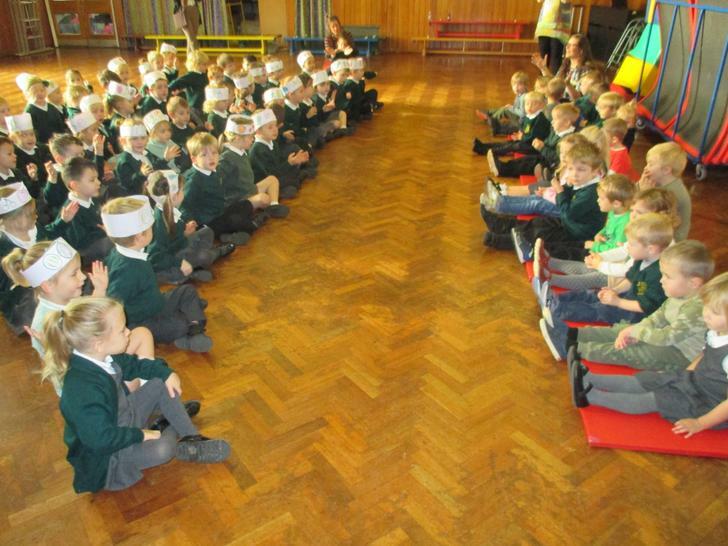 This week we are talking about Harvest festival and many of the children have bought in donations of food. 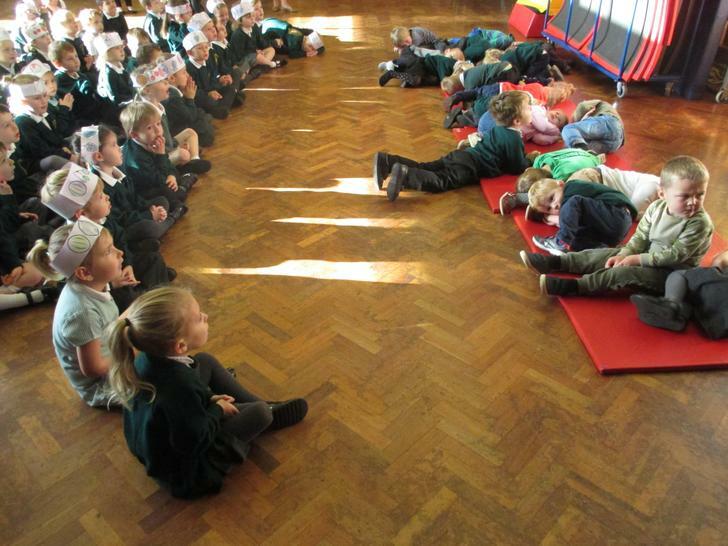 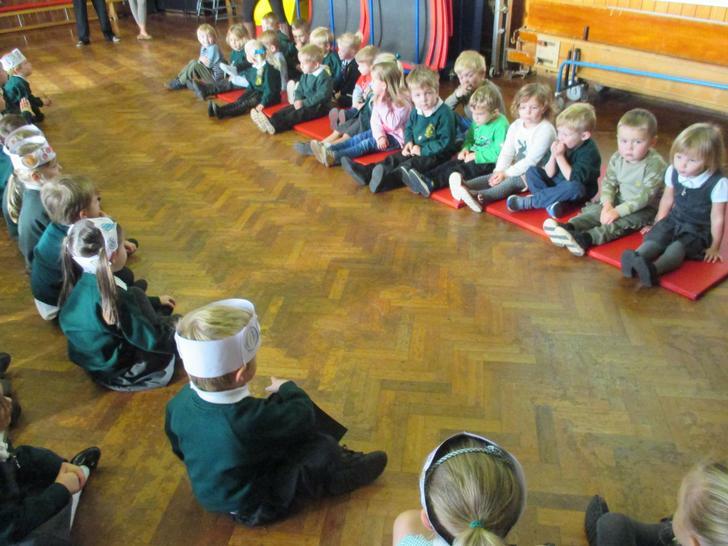 The children have been reflecting on the concepts of giving, sharing and being thankful. 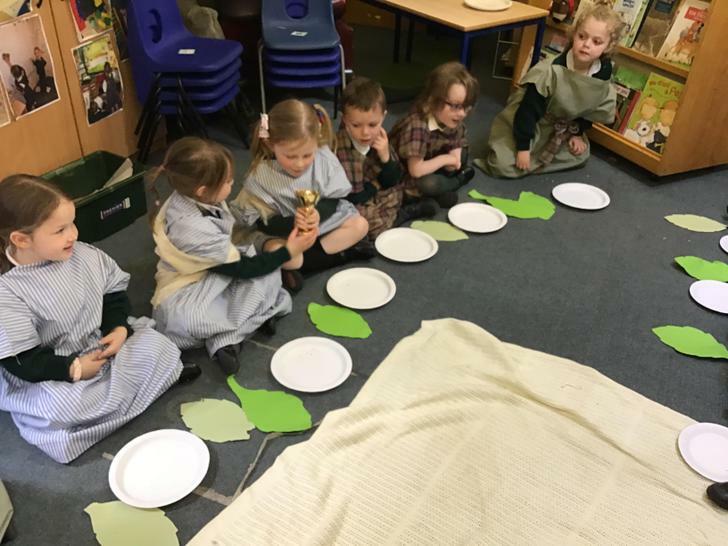 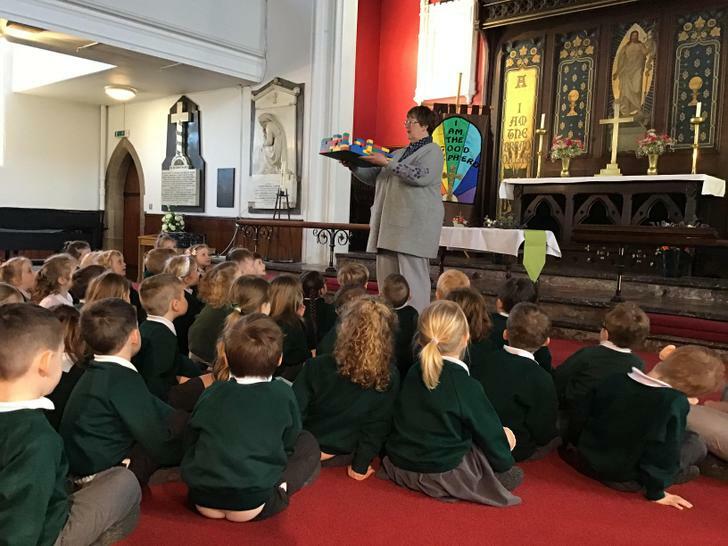 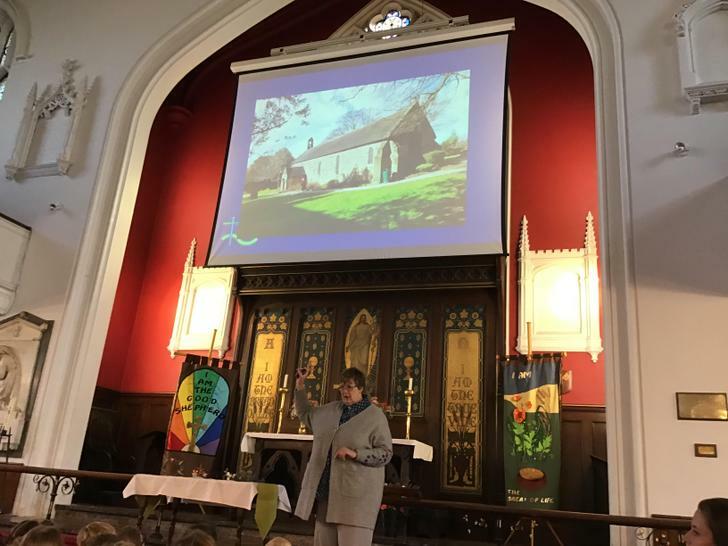 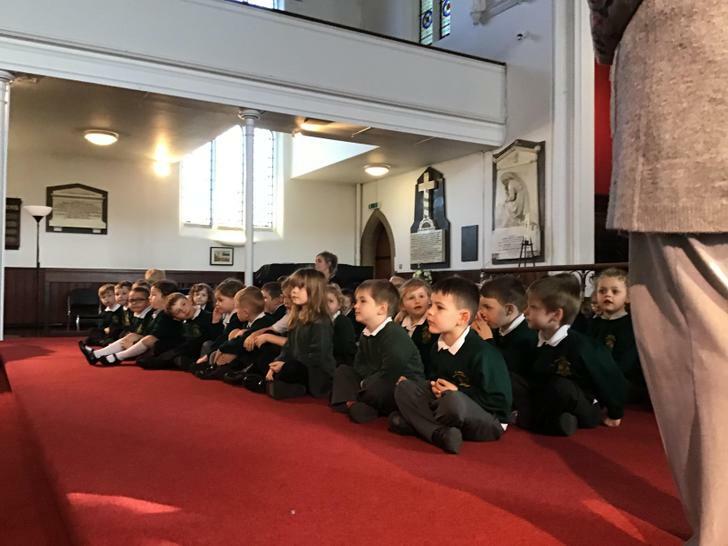 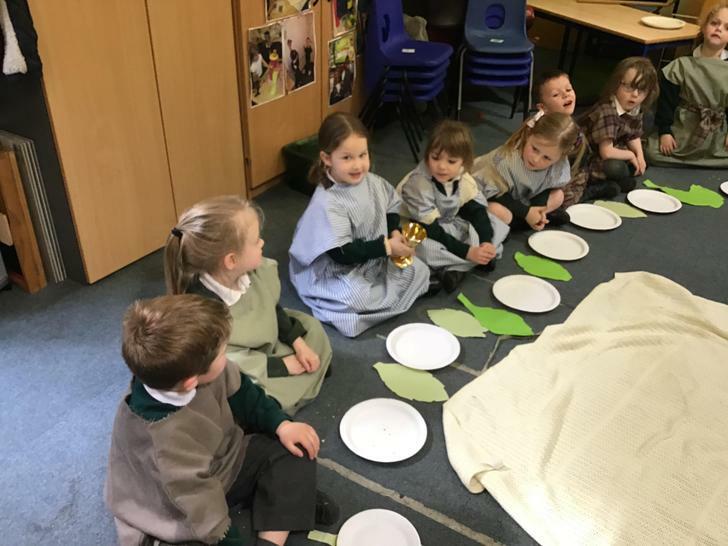 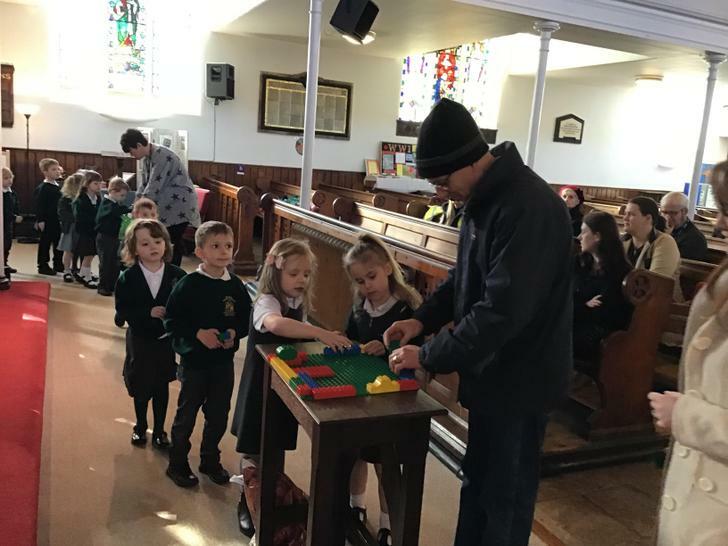 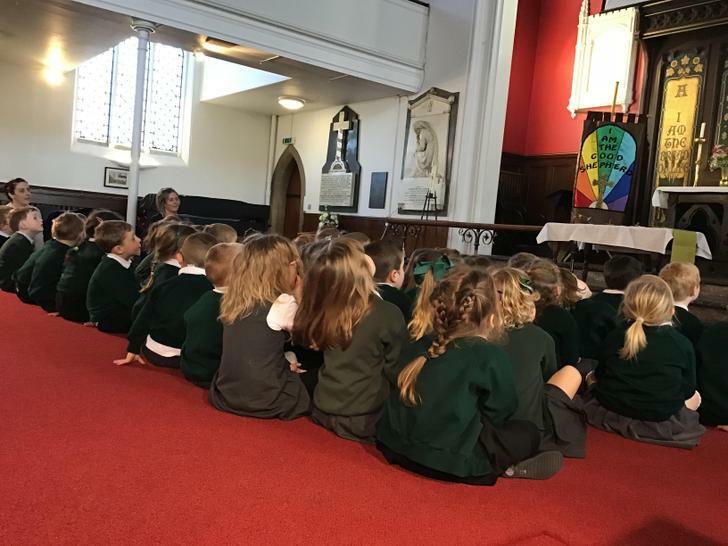 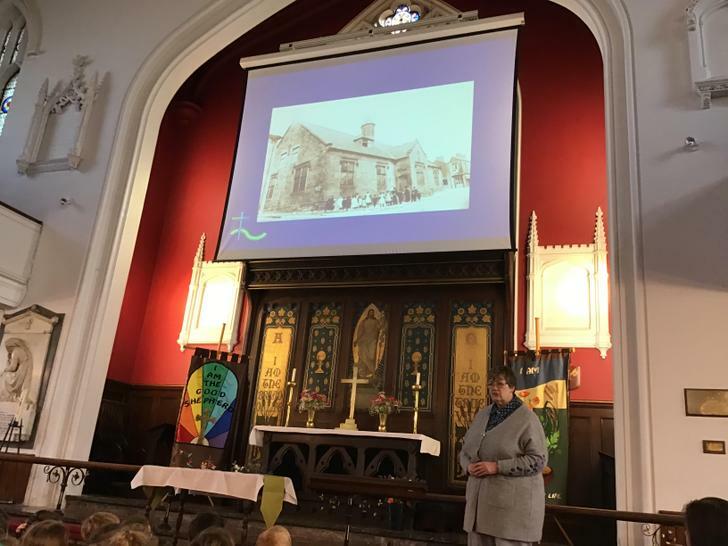 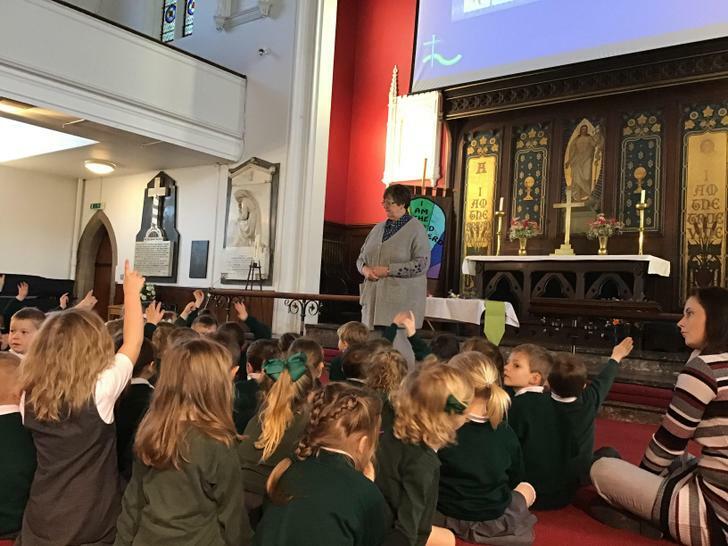 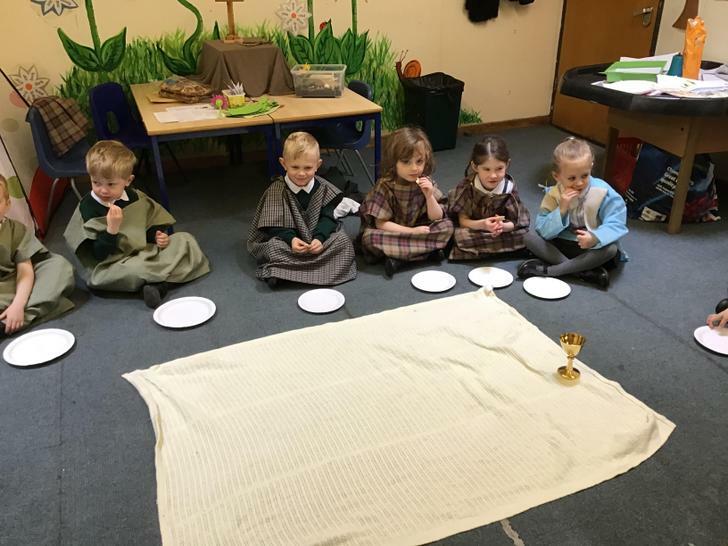 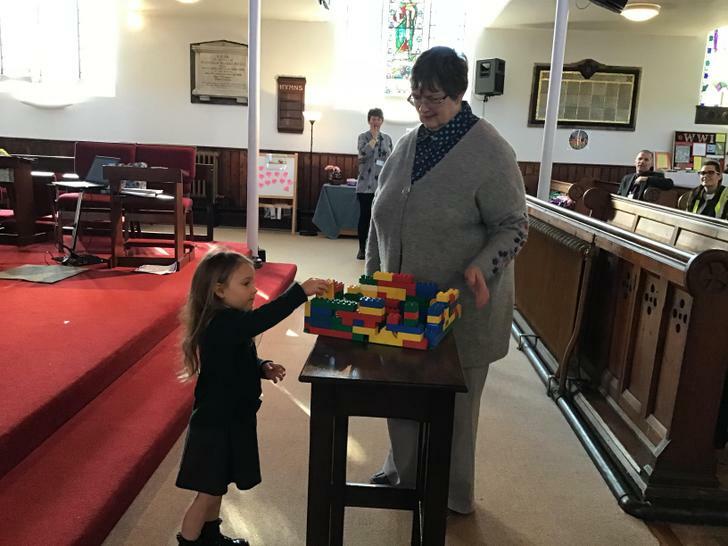 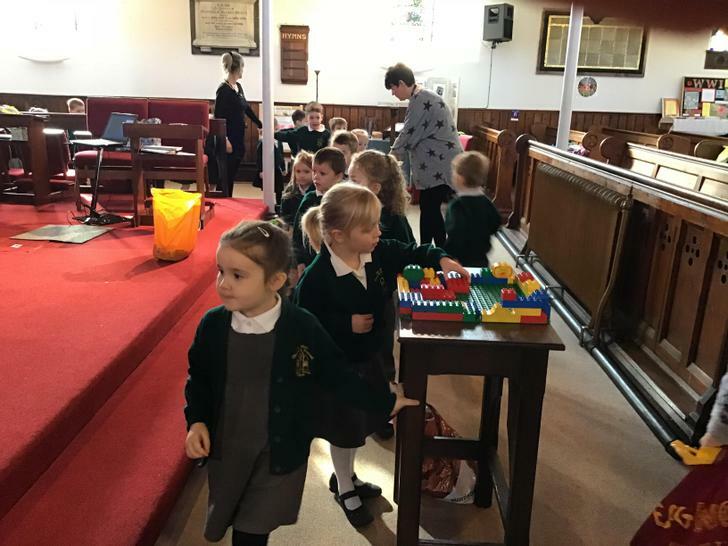 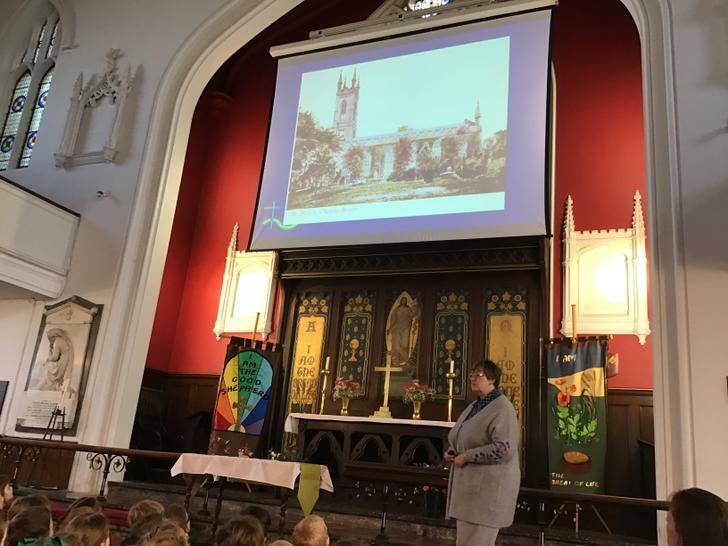 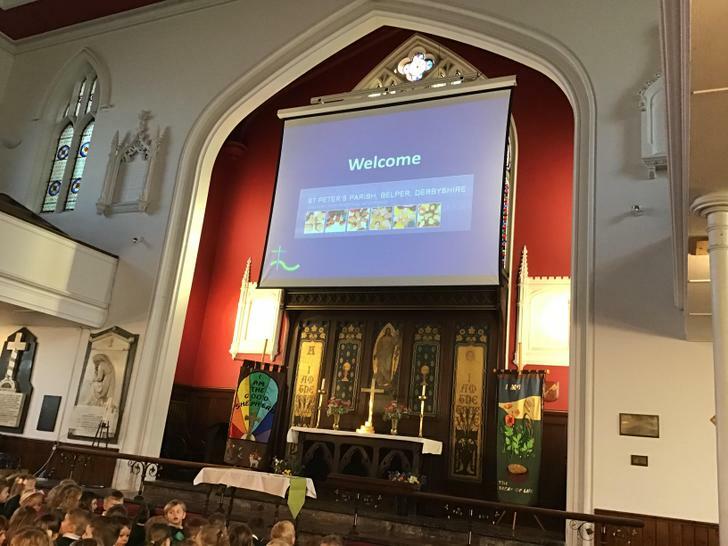 We have talked about how Harvest is a special time for Christians and how it is celebrated in church. 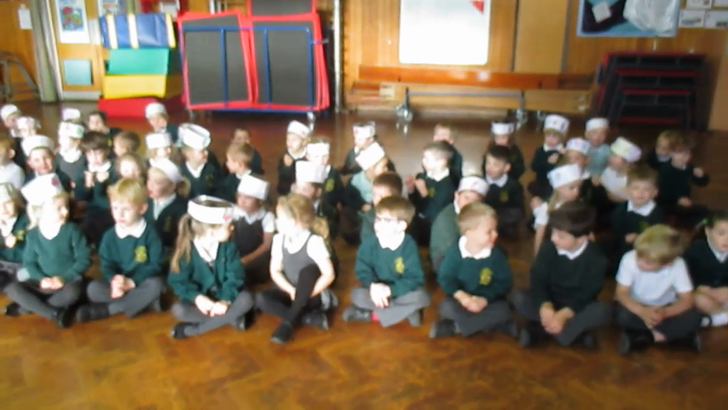 We started off the term with a topic about ‘Belonging’. 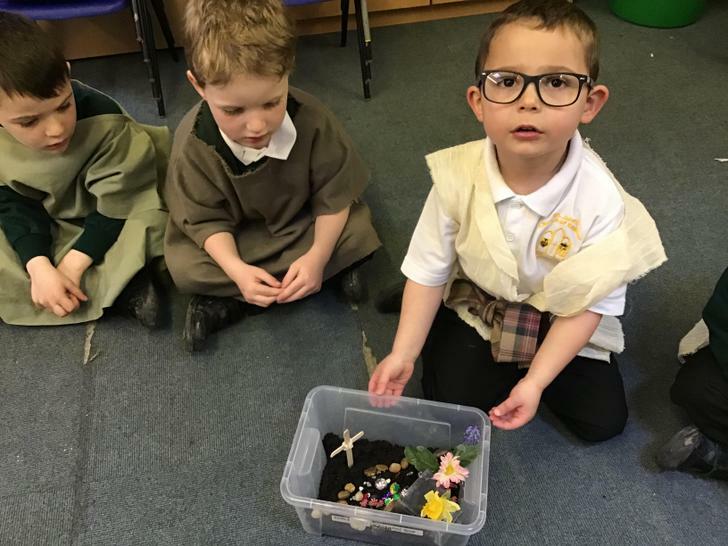 We thought about what it means to belong to different things. 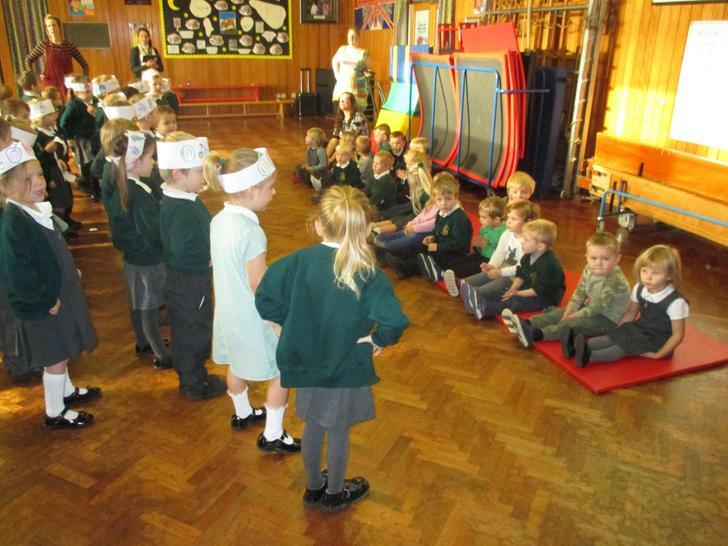 We looked at being part of our families and being part of our school family. 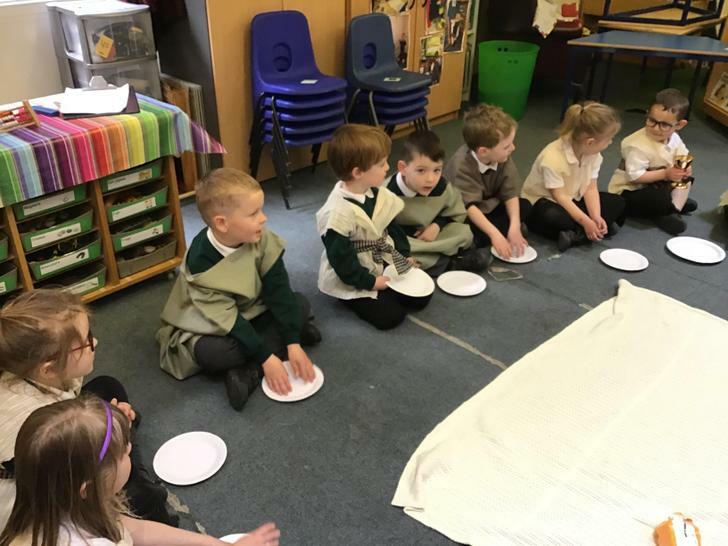 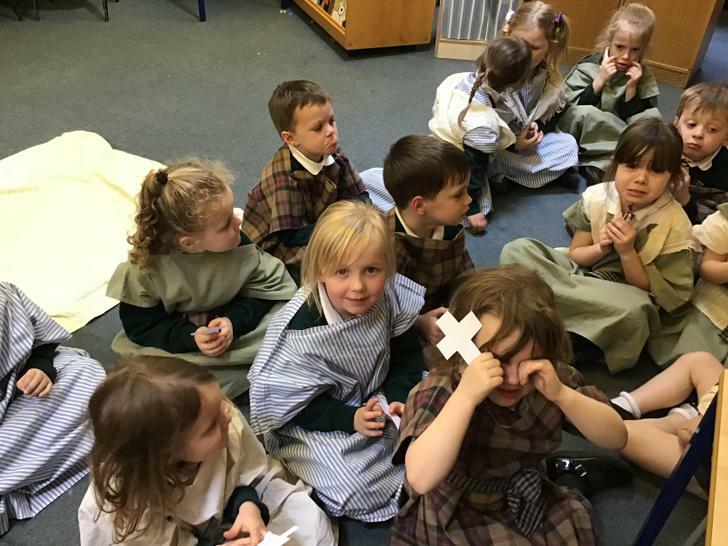 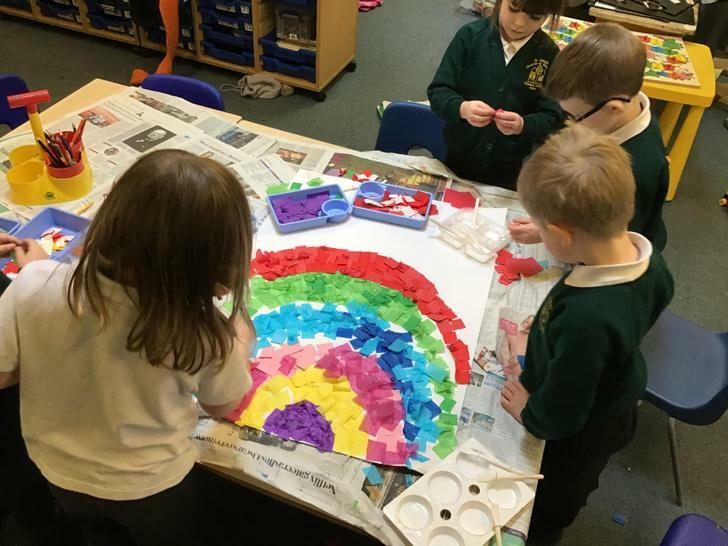 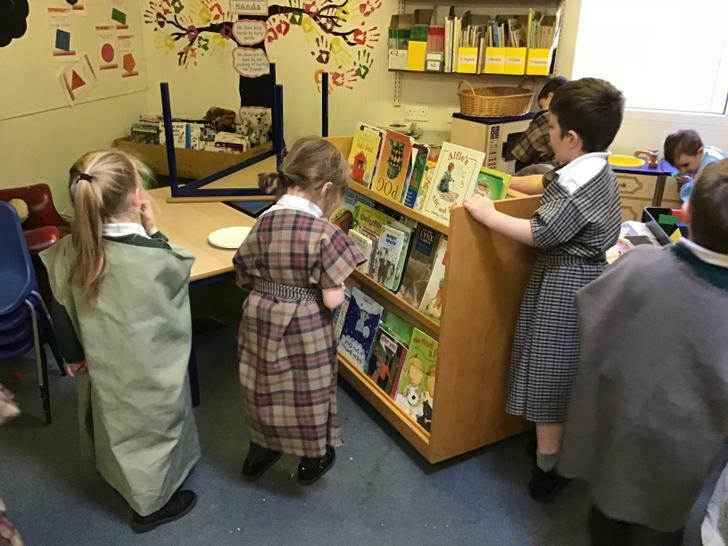 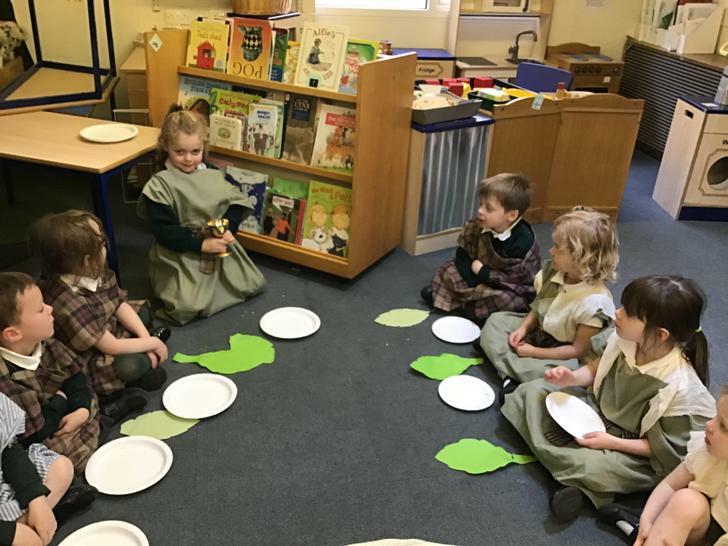 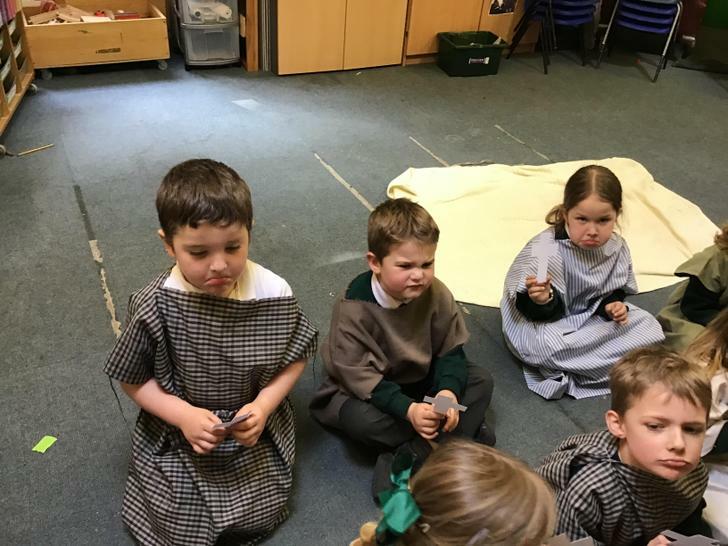 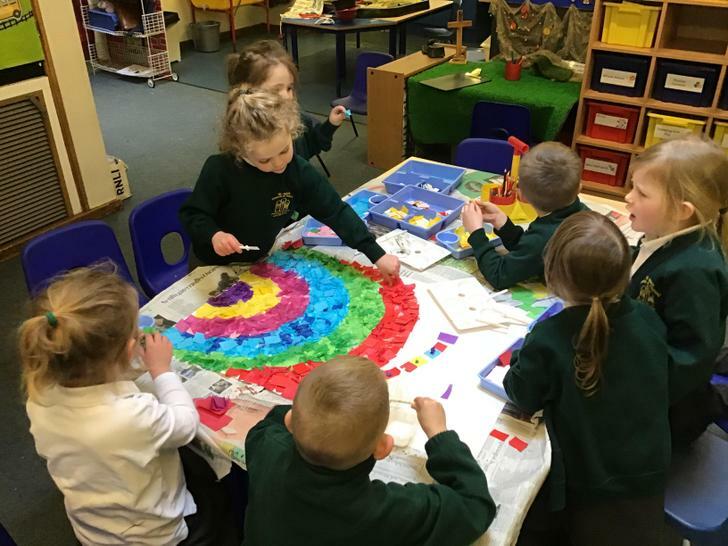 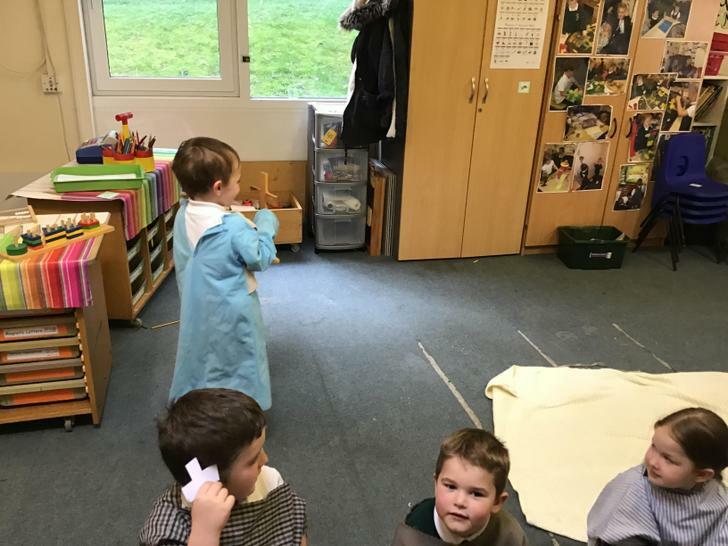 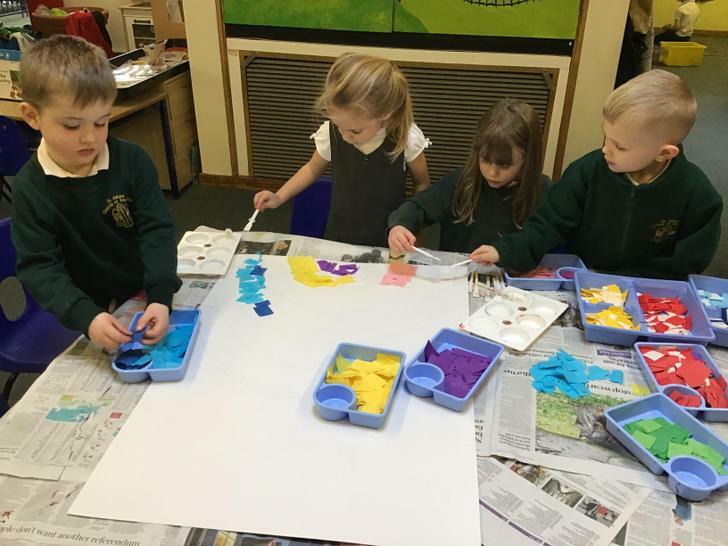 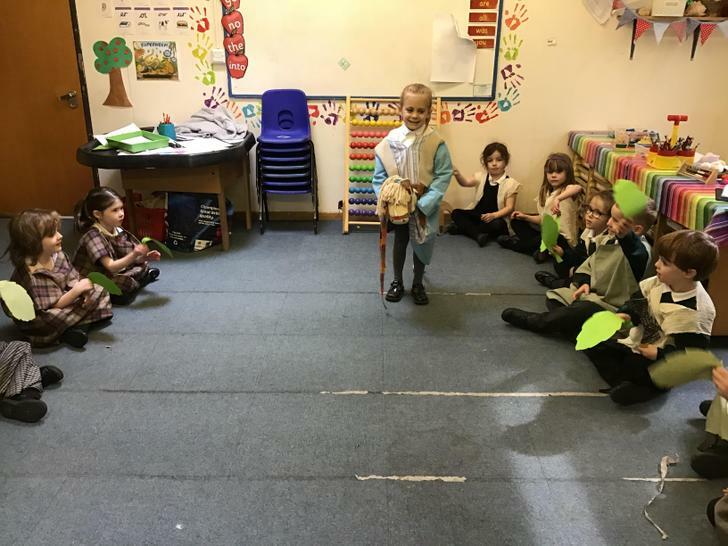 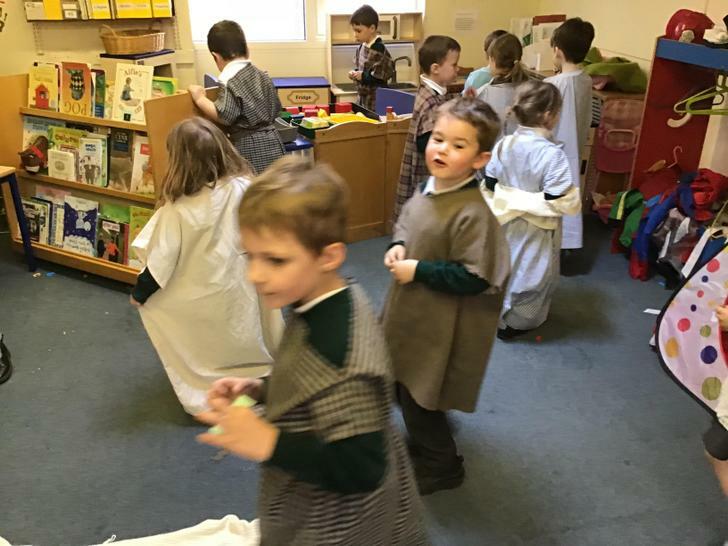 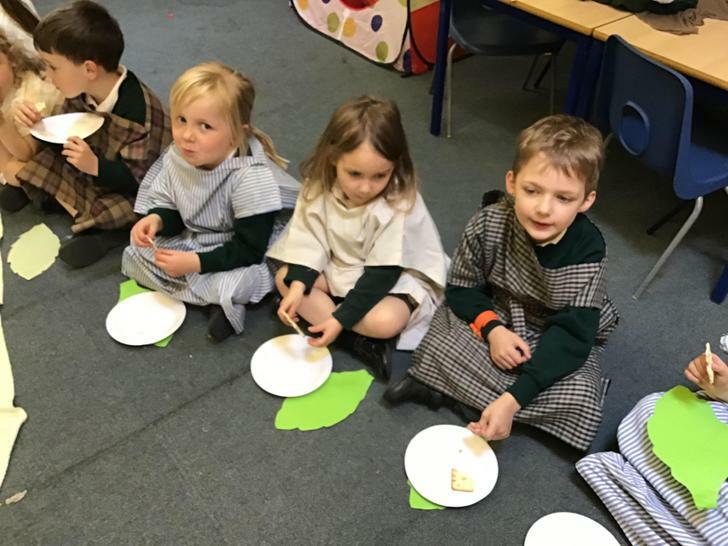 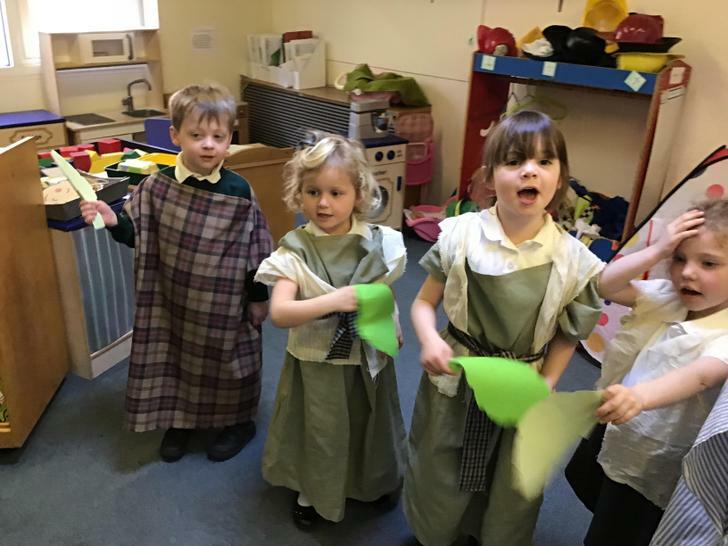 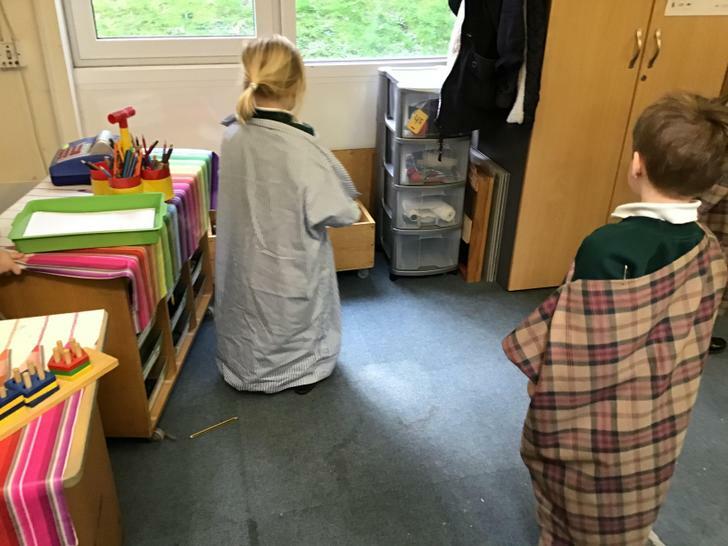 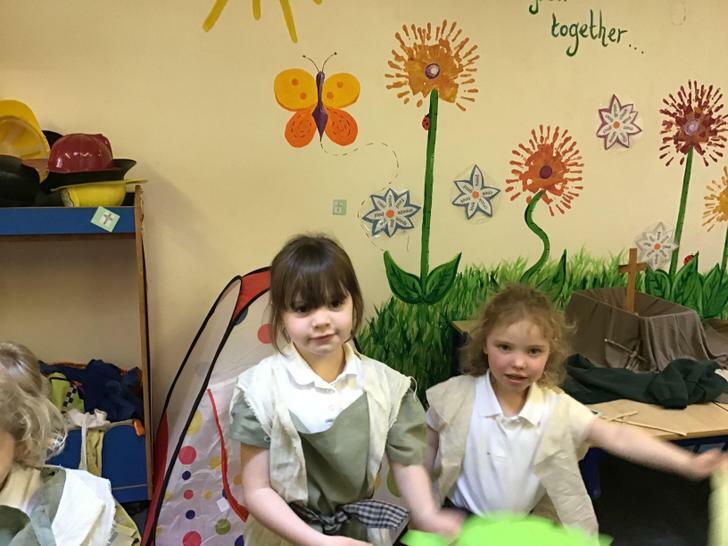 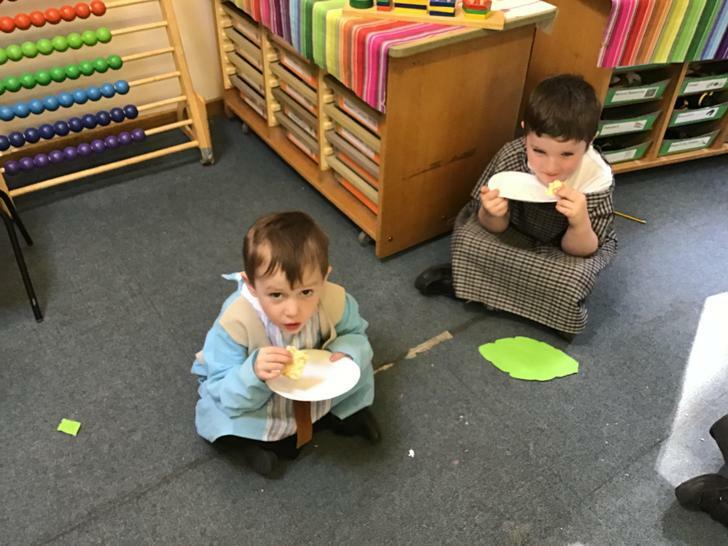 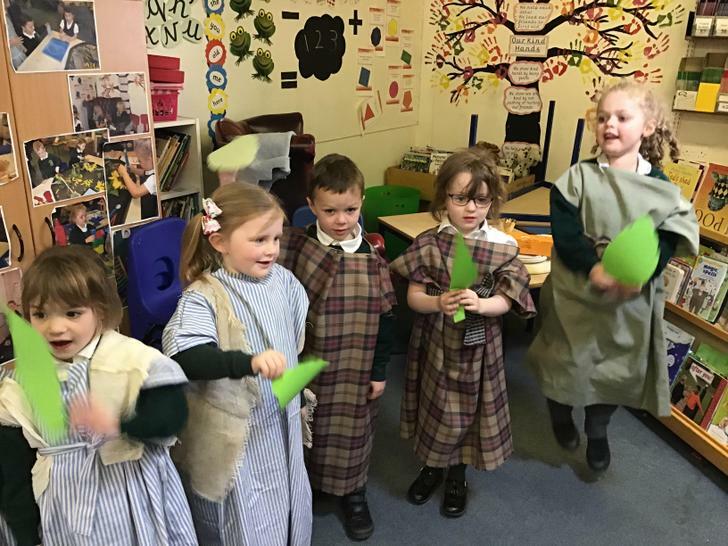 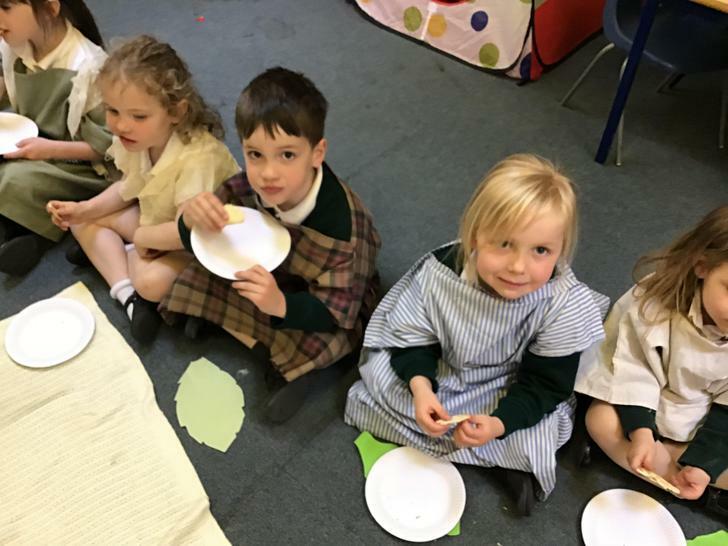 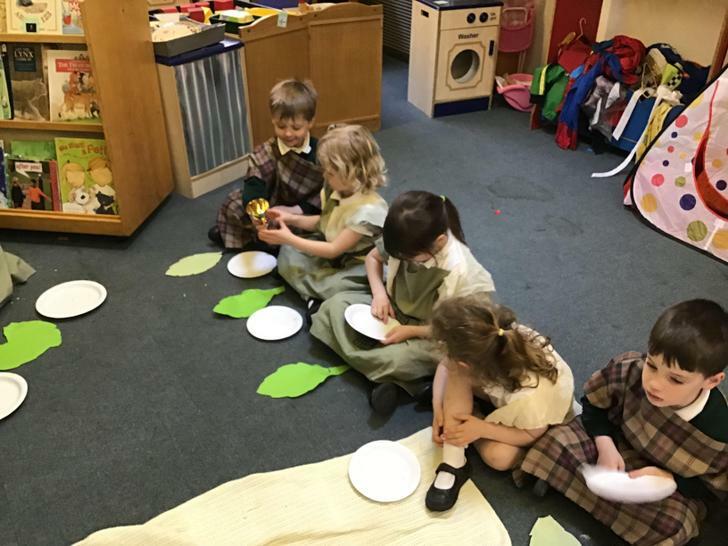 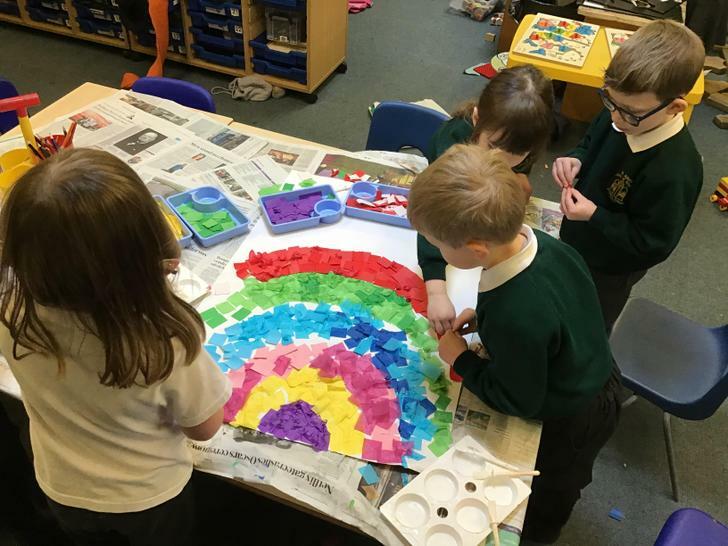 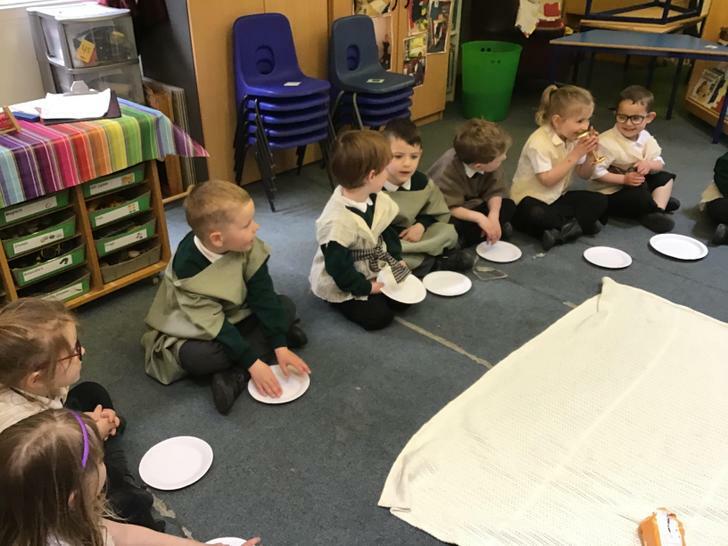 We had discussions, painted pictures, participated in role play and had fun drawing round childrens’ outlines and dressing them with school clothes.